Lock in a great price for Amiana Resort and Villas Nha Trang – rated 8.8 by recent guests! What can i say, it was our second stay in this resort and it was perfect like the first time. 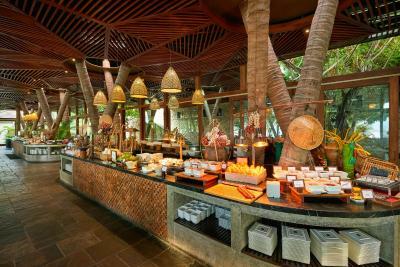 the breakfast is amazing , the resort is very clean. It is simply perfect ! We looking forward to go there for the 3rd time, maybe next year we hope! The pools and the private beach were amazing. The room was beautiful and comfortable. The pools and the room was amazing. No doubt about that. The service is absolutely top notch. Everyone was super friendly and accommodating. You really felt like they cared about you and your comfort. Can't say enough good things about the people working (hard) at this resort. 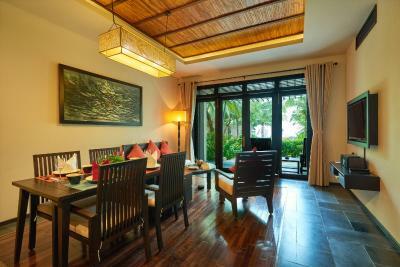 It is located in quiet place, which is exactly what we are looking for. 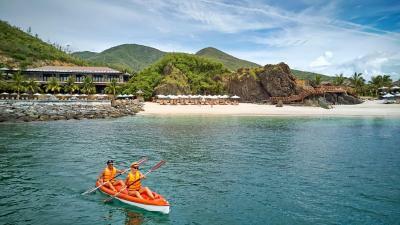 there are 3 swimming pools and one small beach, very relax. The breakfast is good, a lot of choices over there so everyone can find their favorites. 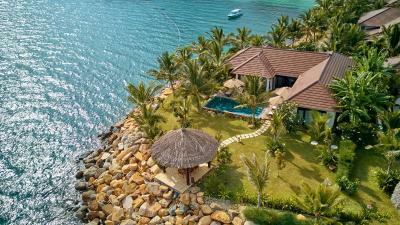 Amiana Resort and Villas Nha Trang This rating is a reflection of how the property compares to the industry standard when it comes to price, facilities and services available. It's based on a self-evaluation by the property. Use this rating to help choose your stay! 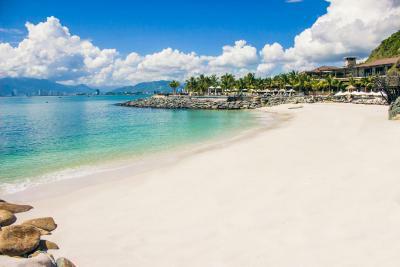 One of our top picks in Nha Trang.Located along on a secluded bay, Amiana Resort Nha Trang features a private beach area and offers the Nha Trang seascape. 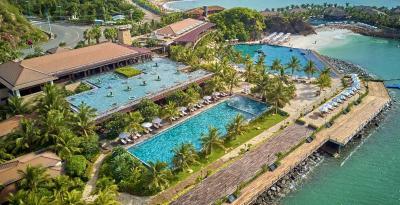 A 8.2 ft² natural seawater swimming pool and two freshwater infinity pools are featured for guests to go for a dip or simply lounge in the sun. Free WiFi can be accessed in all areas and free parking is possible at a nearby site. 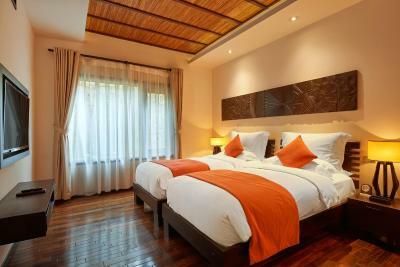 The resort is conveniently within 5 mi to Nha Trang city center, Nha Trang Train Station and the famous Dam Market. 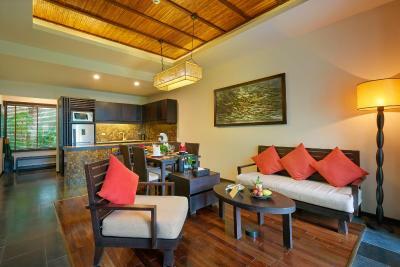 Nguyen Thien Thuat Street is 7.5 mi away, while Cam Ranh International Airport is accessible with a 55-minute drive. 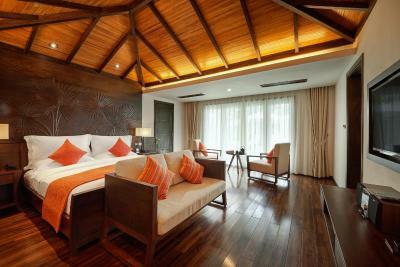 Set within landscaped tropical gardens, spacious units at Amiana Resort Nha Trang are along the beach and air-conditioned. 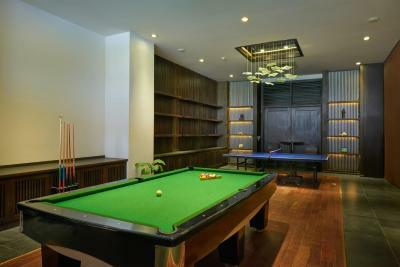 Fitted with tiled/parquet flooring, units are furnished with a work desk, a flat-screen cable TV, mini-bar and seating area. 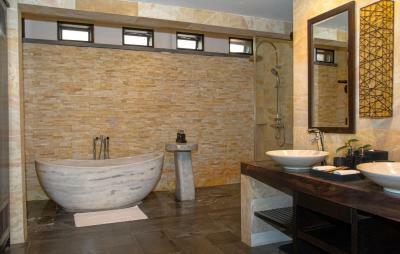 Private bathroom in each unit is equipped with a hairdryer, shower and free toiletries. 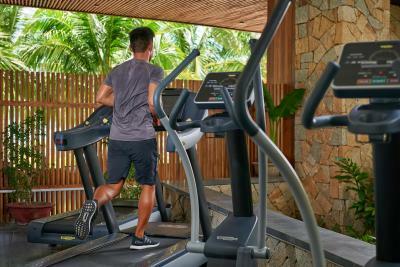 Guests may rent a bicycle/car to explore the area, or approach the tour desk for arrangements of recreational activities and private excursions. 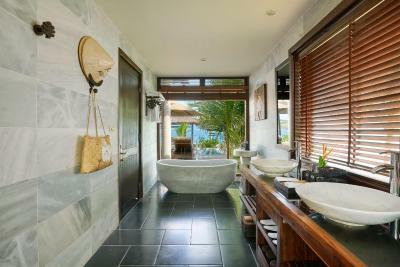 Massage treatments and private bud bath are available at its award-winning Amiana Spa. 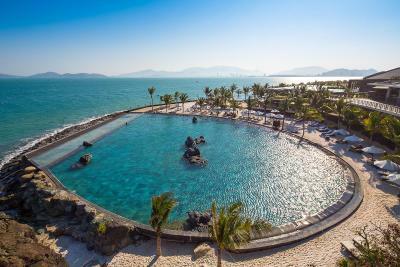 Amiana Resort Nha Trang operates a 24-hour front desk where multilingual staff can assist with luggage storage, currency exchange and concierge services. 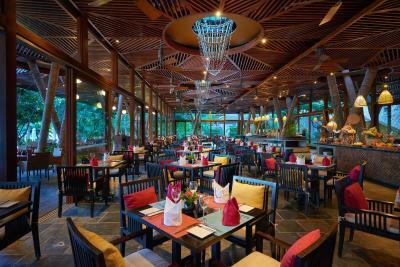 The in-house Bacaro restaurant serves fresh seafood, traditional Vietnamese and international cuisines throughout the day, while the bars serves up many choices of tropical cocktails and wines. 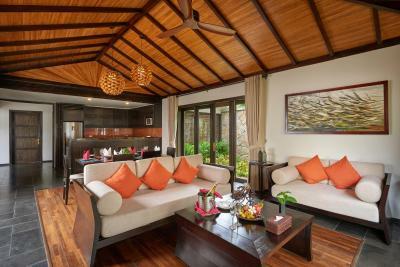 When would you like to stay at Amiana Resort and Villas Nha Trang? 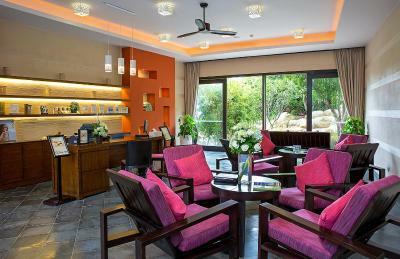 Offering views of the grounds, rooms include a 40-inch flat-screen TV a laptop-size safe, coffee/tea making facilities and a minibar. The private bathroom has a hairdryer, shower and free toiletries. 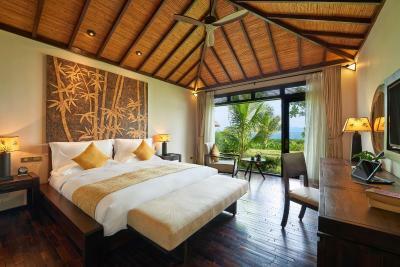 Spacious ocean front villas feature a separate living area, a 40-inch flat-screen TV, a laptop size safe, an espresso machine and a mini-bar. 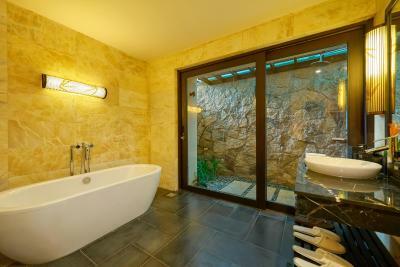 Includes a semi-outdoor bathroom. 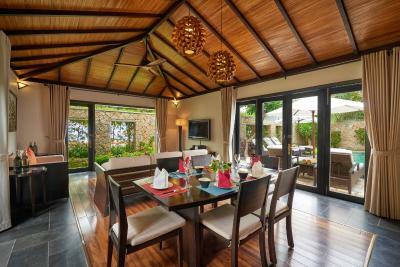 This villa features 2 bedrooms, a balcony and dining area. 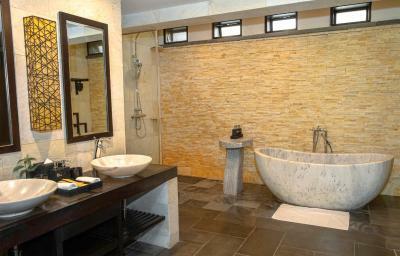 Bathroom is equipped with a shower. 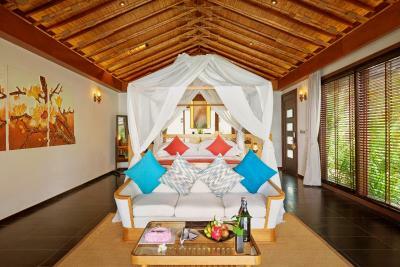 Bathrobes and towels are included..
Overlooking the ocean, these three-bedroom villas feature a private swimming pool and lush green gardens. 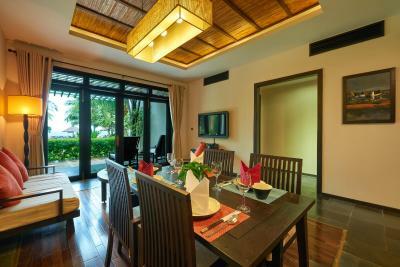 Luxurious villas consist of a kitchenette, dining area and a separate living room with sofa and flat-screen TV. 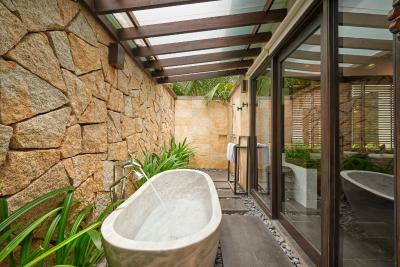 The private bathrooms come with a bathtub and free toiletries. 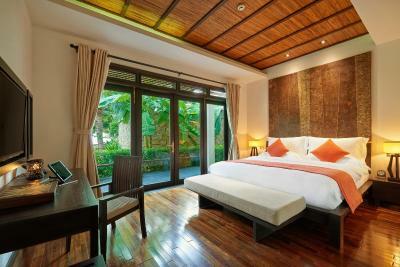 Villas include 2 King-size beds and 2 single beds. 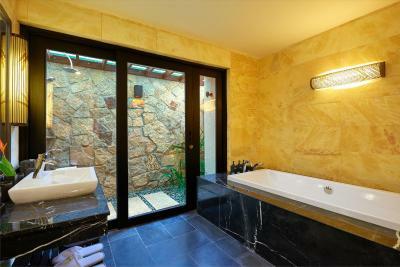 This double room features a seating area, bathrobe and tile/marble floor. 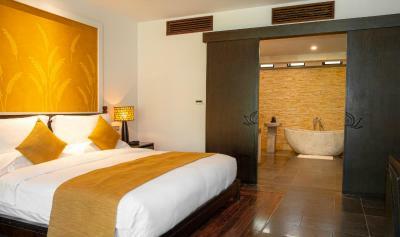 This twin room has a seating area, electric kettle and bathrobe. 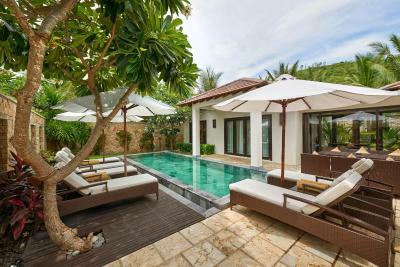 This villa features a private pool, electric kettle and mini-bar. 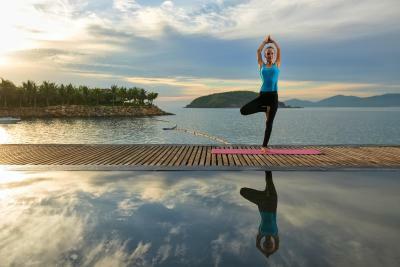 Amiana is a five-star resort nestled in a tranquil corner of Nha Trang overlooking the sparkling waters of a stunning bay. 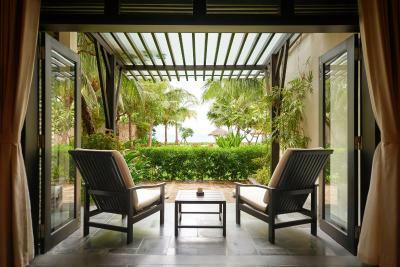 Herein guests will find a conscious effort to preserve and highlight the natural resources and beauty of the region, through the use of architecture and design, along with materials sourced from the local area. 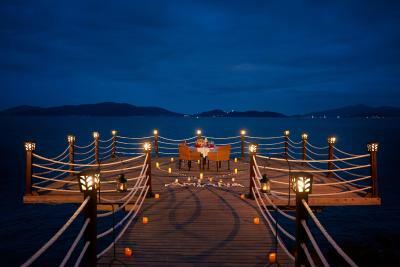 House Rules Amiana Resort and Villas Nha Trang takes special requests – add in the next step! 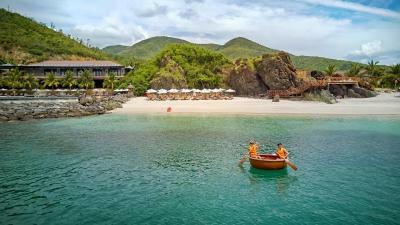 Amiana Resort and Villas Nha Trang accepts these cards and reserves the right to temporarily hold an amount prior to arrival. Please present the same credit card used to guarantee your booking when check-in / making payment at the hotel. 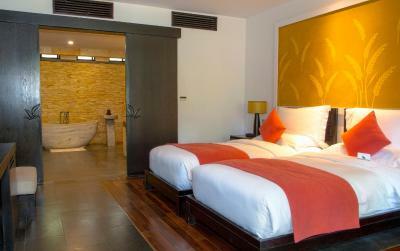 Hotel provides a complimentary scheduled shuttle bus service to Nha Trang Center for in-house guests. Please contact hotel directly for time schedule. 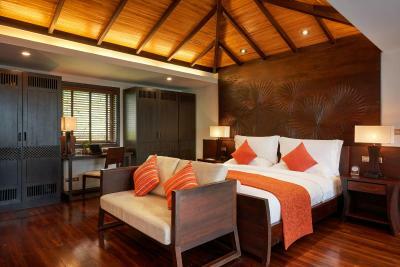 Please note that one child under 12 years is charged USD 14.45 per person per night when using existing beds. We have enjoyed everything there. 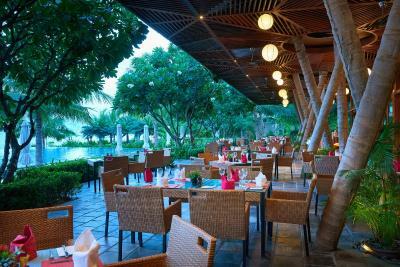 The food is nice, the staffs are very friendly. We particularly enjoyed the swimming pools. I don’t like the house was next to the construction site. The workers can see what we were doing in the private pool. They enjoy it more than us. We arrived the resort at 2pm. We been told all activities is fully booked. And we have flight to catch next morning. So we couldn’t join any of the activities. 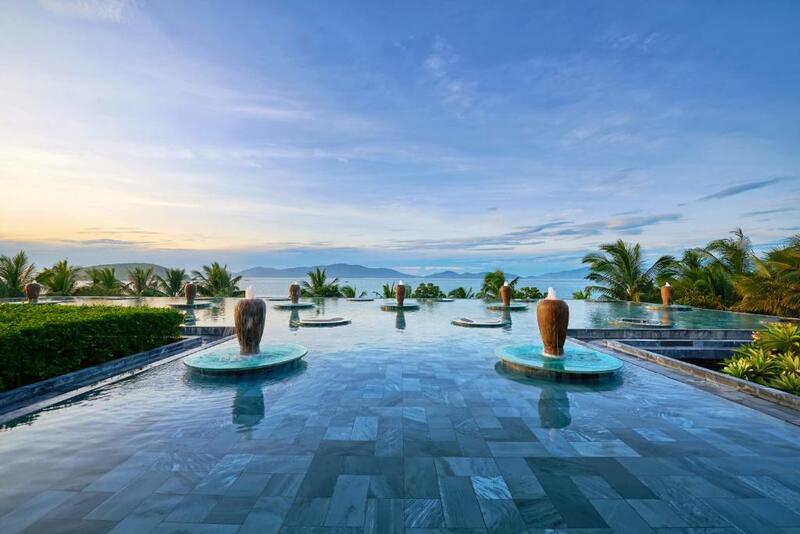 We can only spend time by the pool and views. The views is amazing. We had breakfast and dinner there. That was one of the worst experiences ever. The food was awful specially breakfast . I do not recommend to use the restaurant at all. If we spending that amount of money we would expect to have better experience than this. View and place for photo shooting are good. 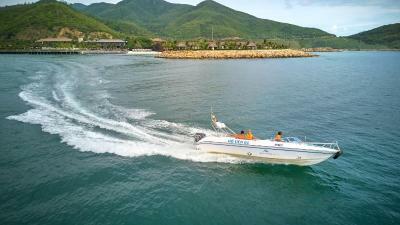 I spent for the third time wonderfull holidays at the Amiana Resort with my family (8 adults and 4 children). I came back for the third time because we loved very much: the direct vue to the sea and the mountains, the 3 swimming pools, the breakfast and the diner, the quite of the bedroom, the team and the manager who were very nice with us (they let us one Room until 3pm to take a shower before leaving). 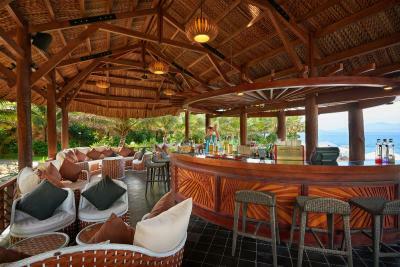 I recommande very much the Amiana Resort and I will come back again next year! I was sorry that there was not much meat in the breakfast. There are plenty of pools and private beaches and everything was nice and quiet. The staffs were a bit slow. I had to call many times to clean up the dishes (room service). It would be better if the toilet and shower are separated. The dinner in the restaurant ends at 10pm. That was too early for us. The room service menu was very poor. Unfortunately, that was significant disadvantage of the rest. Hotel thinking too much how to charge the client more and more as they do not offer anything for free. For example sauna. Steam, non motor water sports are asking for money. Transport from the hotel to airport they charging 4 times more than regular taxi. The hotel, the beach, the pools the breakfast are really nice. Everything was perfect but shower facility was a little bit uncomfortable for us because there was no separate shower booth, we had to take a shower in the bathtub(Deluxe King Bed, not sure how other room types are) shower facility is like just one set with the bathtub, haha. But it was still okay since it's a resort! not the hotel.